Will Norma Meader be able to afford new stockings? Will Peter Meadows ever pluck up the courage to ask his true love to the youth club dance? And why is Annie, respectably married mother of two hiding in a hedge? On Sunday, July 2nd 2017 people flocked to Ascot Road to meet the Meadows and the Meaders; two fictional families who were in Southmead from the very beginning! 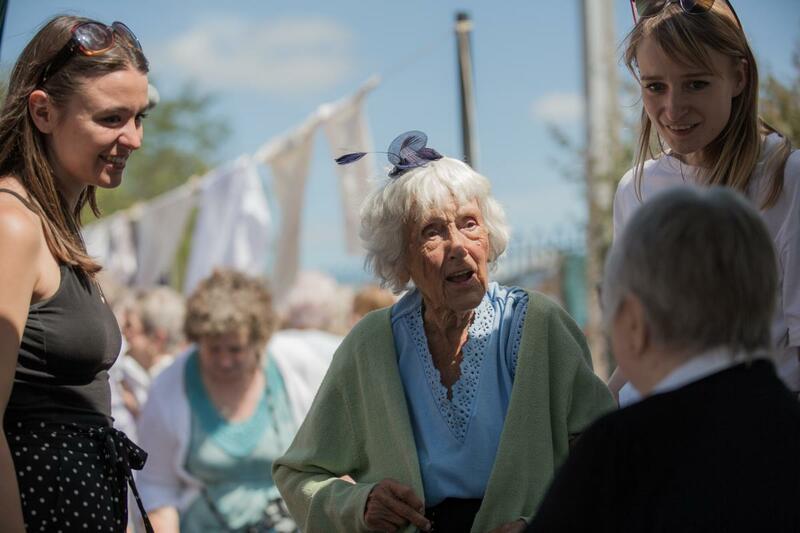 The many fascinating stories provided by local residents were woven into the Meadows to Meaders Soap Opera and performed by the community live on the street. The show was the culmination of six months’ work with the Bristol Old Vic Engagement team. Sample a taste of 1930s cuisine – just the way granny used to cook. Watch films capturing memories of the early years of Fonthill Road School, the Baptist Church Youth Club and that peeked inside some of the first houses to be built in Southmead on Ascot Road. Visit the Exhibition of Objects Past, that revealed another part of Southmead’s history and heard recollections of cows being herded along Ascot Road, memories of the first Teddy boys and Doncaster Road teacher remembering how cheeky children were tricked into owning up to stealing fruit from the school allotment. Watch this space for the films created by Calling the Shots and pupils from Orchard School coming soon. Back to the Meadows to Meaders project page.